When your loved one needs care it can sometimes feel like venturing into the unknown, thanks to several popular but untrue myths about care homes. In this article we’ll take a look at five of these common myths and explain what the truth is behind them. A common misconception is that care is free, which may have arisen through confusion with healthcare services which are. Moving into a care home is usually not free and is based on means testing. People living in England with over £23,250 of savings, investments or assets – including property – are considered to have enough to pay for their own care. There are exclusions, however. For example, if your mum or dad has less than this, or has a spouse or a person dependent on them living in their home, they may qualify for council funded care. Another common misconception when it comes to funding care is that your home can be taken away. This is not true, as local authorities can offer a deferred payment for care, or alternatively the home can be rented out to generate income, which can then be used to pay for care. If you have any concerns about funding care, Hallmark Care Homes recommend speaking to a suitably qualified financial advisor, who would be able to help you plan how to fund moving into a care home. In addition to this, our care teams in nursing homes are led by a team of Registered General Nurses. 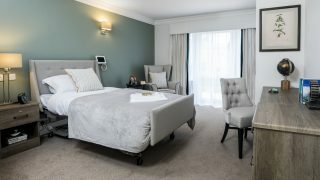 Do I Get a Choice of Care at a Care Home? Many people looking for care also believe there is no choice in what care is provided. In actual fact, a wide range of care is available, with councils designing services to ensure care arrangements are based around the individual, with a choice in what care they would like to receive, based on their assessed needs. 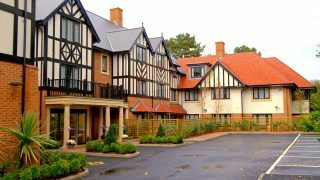 At Hallmark Care Homes, we provide three main types of care: residential, nursing and dementia care. Residential care is all about maintaining lifestyle choices and avoiding isolation and loneliness that can lead to declining health or depression. 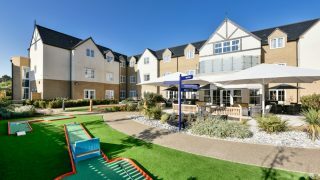 Our residential communities focus on empowering residents to lead stimulating and fulfilling lives, with the support to help them make their own choices, satisfy their personal preferences and maintain their independence. Meanwhile, most of our care homes provide nursing care to support both simple and complex needs. Our experienced nursing team operates 24 hours a day providing care based on an assessed care plan created in collaboration with residents. The team also work closely with our local multidisciplinary teams of doctors, community nurses, social workers, physiotherapists and dieticians to best meet the individual care needs of our residents. Finally, dementia care is dedicated to supporting residents and their families on their journey with dementia. 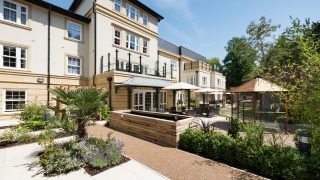 Our care homes feature dedicated dementia communities, with slight environmental differences to suit the altered cognitive abilities of our residents living with dementia. 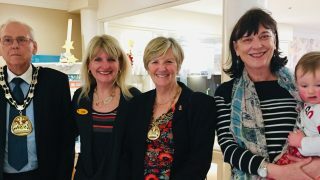 As a member of the Dementia Action Alliance, we report at a national level on our progress to meet our action plan to improve dementia care, as well as being involved in several research projects with universities in the UK to improve dementia care standards across the country. With so many residents to look after, it can seem as though nurses and carers won’t ever get around to seeing all of them. 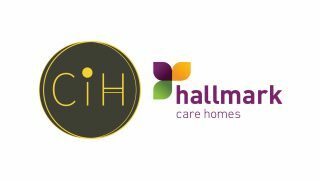 At Hallmark Care Homes, we operate a high team member to resident ratio, which ensures each of our residents receive the care they need at their pace. On top of this, with our high trained staff, you can be sure your parent will receive the highest quality care to the level they need. Our unique approach to care is personalised and collaborative, designed to meet our residents’ needs and wishes through a partnership approach. This means we can support our residents to carry on with their daily routines, as well being there to assist them with anything they struggle with. Does Care Provided By Charities & Non Profits Cost Less? 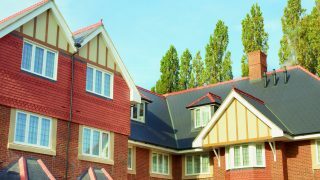 There is a wide choice of providers to suit every potential resident in terms of their needs, budget and lifestyle choices. We recommend that families visit a cross section of homes in their local area to make the choice that is right for them. 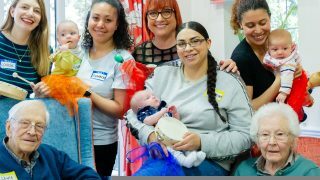 At Hallmark, we’re focussed on catering for our residents’ needs by investing in our talented team, as well as investing in developing new communities so that more people can experience our high levels of care. Find out more about our care here.